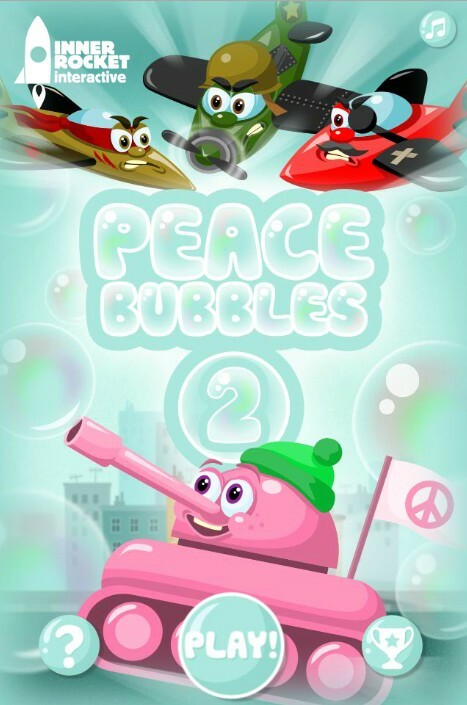 Peace Bubbles 2 by Inner Rocket Interactive is an endless arcade shooter/defense game where you take the role of a solo tank to defend your city from the incoming bomber planes. When aggression is at a fever pitch and war is imminent, all you can do is blow peace bubbles to save the day. Blow three types of bubbles, and catch the bombs before it's too late. Pick power ups to gain advantage over enemies. Enforce peace once more in Peace Bubbles sequel! Peace Bubbles 2 is an endless shooter game with increasing difficulties as you progress through levels. 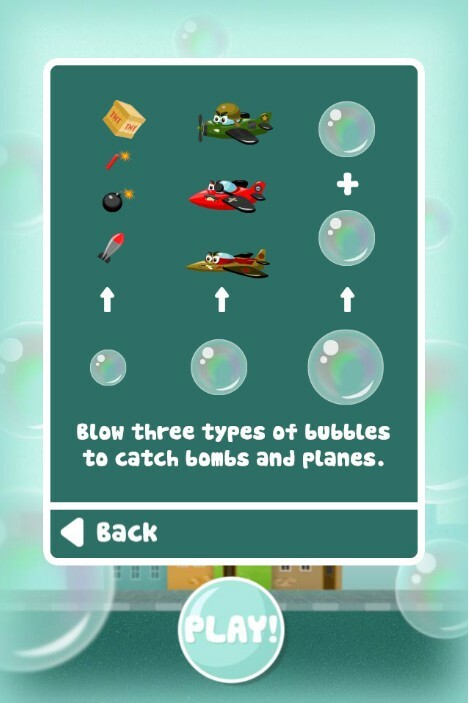 The objective of the game is to blow bubbles to float bombs and planes up to avoid damaging your city. You can produce 3 different sizes of bubbles by holding your left mouse button. The smallest bubble is to catch the bombs while the medium size bubbles are able to catch planes as well. The biggest bubbles are universal, but beware, the bigger the bubbles, the slower their speed are. 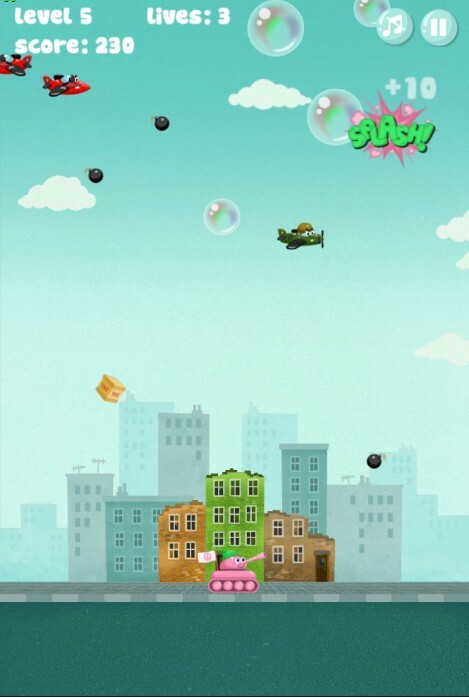 The game features decent amount of power ups such as 'slow', 'instant bubbles' and 'repair city' to help you win the levels, especially at higher levels. Furthermore, other than bomber planes, wind directions are also introduced in higher levels which reduce accuracy of your shots and therefore, cause problems to your city. Overall, although the earlier levels are too slow for me, I enjoyed the higher levels where the actions are much faster and challenging.